This artwork references Morgan Hill’s geology as well as it’s interest in outdoor recreational activities. 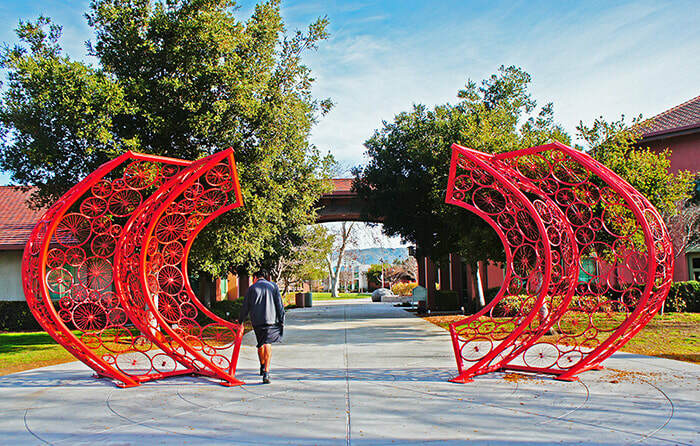 The artwork is an abstraction of Morgan Hill’s unique topographical location within the Santa Clara Valley. The folded panels allude to the surrounding hillsides of the Pacific Coast and Diablo Mountain ranges. The two curvilinear forms enclose the Morgan Hill valley between them. 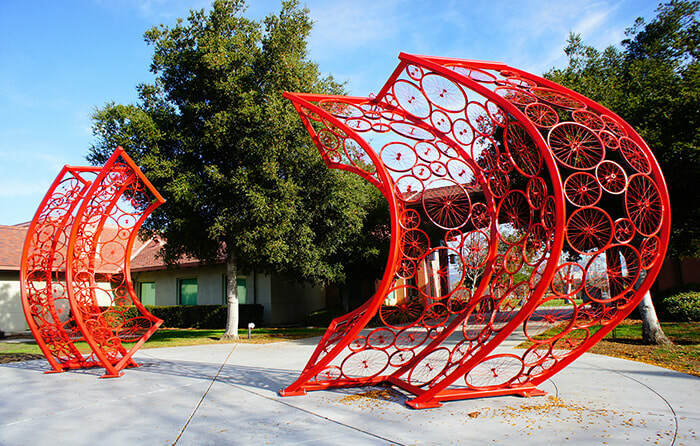 The sculpture is made up of bicycle wheels highlighting the communities cycling interests.